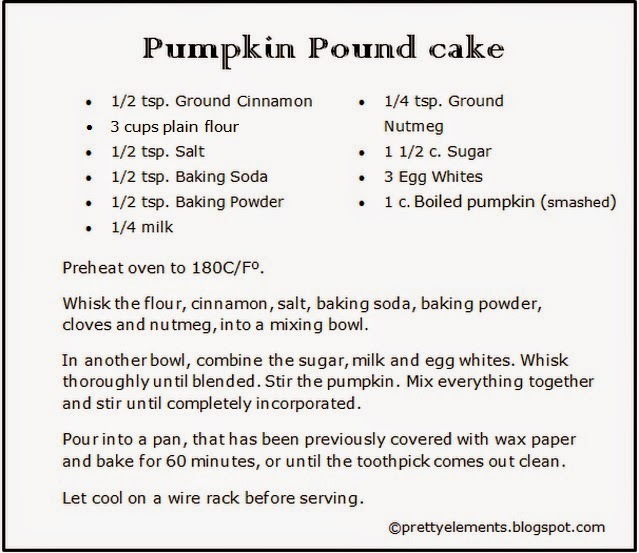 Pretty Elements: Pumpkin pound cake ..starbucks wannabe..
Pumpkin pound cake ..starbucks wannabe..
Now let's go back to the nitty gritty....Did you know you won't find any canned pumpkin here in Spain (nor Italy for that matter)? I clearly didn't know that!!! 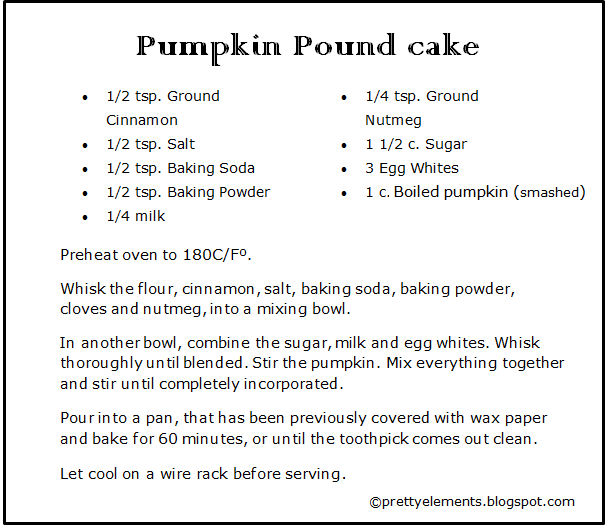 Let me tell you: few days ago, I found an amazing recipe for a Pumpkin pound cake copycat from starbucks. I was so excited and really wanted to bake it until I received a big punch in the face: I realised (after 3 days of hard research) that the main ingredient [Canned Pumpkin] isn't stock here in Spain.......................What the heck????? This look so delicious! I'd love for you to link up at my craft party this week at Sewlicious Home Decor! Yumm! I will have to try this! Steph from Steph Loves Cake stopping by from Tasty Tuesdays. This looks lovely and no butter or oil used, bonus! Thanks for sharing, I will have to try this.